Smile Like You Mean it: Yummers. 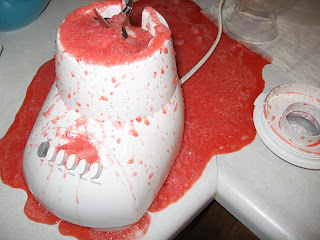 So THIS is what I get for trying to whip up a quick slushy of goodness. Before I started crying I busted out in shear laughter. It looks like I put someone's head in the blender.